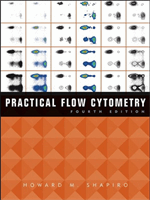 Beckman Coulter is proud to make available Howard M. Shapiro, M.D., P.C.’s Practical Flow Cytometry, 4th Ed. This is the go to reference for anyone interested in developing expertise in flow cytometry applications. As part of our ongoing support for the advancement of flow cytometry applications we are proud to sponsor free digital downloads. Complete the form to activate your eBook and sign up for additional alerts related to flow cytometry innovations or educational content. I consent to receiving information about Beckman Coulter webinars, products, goods, and services, including similarly related products, goods, or services from its affiliates.